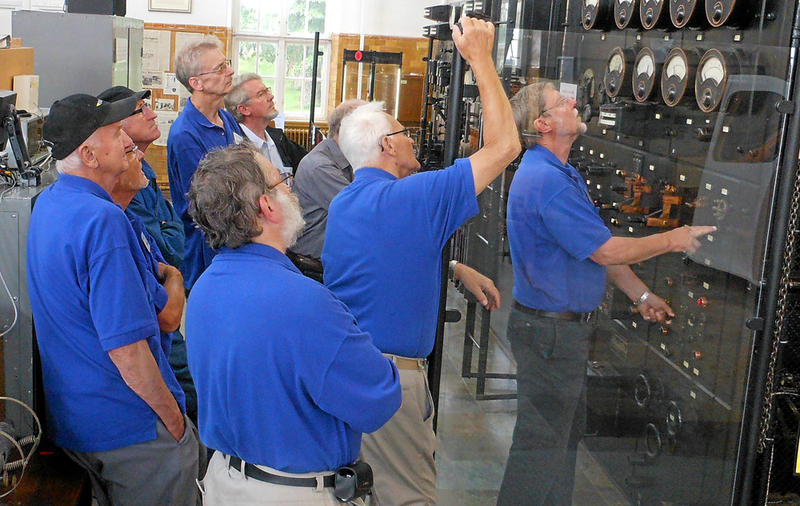 The Alexander association was founded by earlier employees at the radio station and by persons interested in industry and culture history in order to keep and bring to life the old technique. In study circles and working groups personal ability to attend and run transmitters and machinery is being developed and passed on to others. During summer the station is shown to the public, see “Events” menu. During other seasons the station is shown to groups by agreement, please contact info@grimeton.org. The members of Alexander are in charge of the arrangements as well as guiding and service.